The sign-in screen can be customized to meet your branding needs. 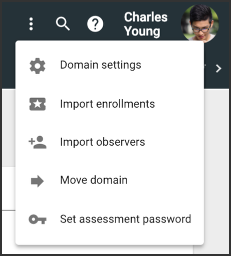 Administrators can keep it simple and just choose a background color or design and a login logo, or completely replace the main content of the sign-in screen with HTML. Theme: The default theme color to use for the header and body of the page. Login Logo: The image to use for the sign-in screen. Logo: The image to use for the application logo. Login Page: An html resource or URL that can be specified to appear where the Background color would be. Login Logo: The image to use for the sign-in screen. If not specified, the logo image is used. Login Page: Specify either a HTML resource with a relative path or a fully qualified URL to overwrite the default sign-in screen body; this resource appears where the background color or image would be. For better display on high-density screen, store any image with a resolution two times the rendered size. For better performance, store large images as compressed JPG files. I am testing in the echostaging area and my changes do not seem to work in Internet Explorer. Here is the URL to review. The new changes work in Chrome on a desktop, Firefox on a desktop and Safari and Chrome on an iPad. Test this URL in different browsers. I even cleared the IE Cache and history. It still displays the way it looked before I updated the settings.xml to add a theme and a style sheet. I want to use the default login screens. The only Class Selector that you show that can be overwritten is the .buzz-main-header Class. Is there a way to overwrite the the background color for the .buzz-login-page-bottom in an uploaded stylesheet file? I do not want to change the color of the existing background image, that I specified in the defaultTheme, because that image is also used for internal pages. 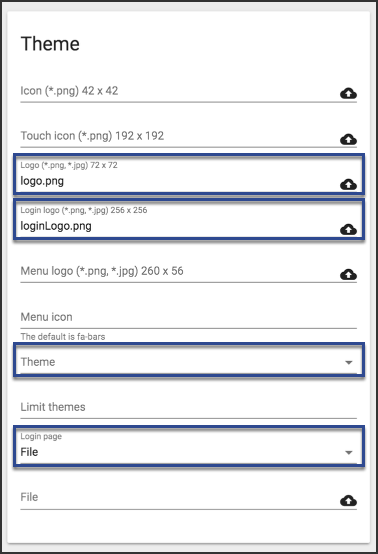 I just want to specify for the login page that the buzz-login-page-bottom have a background color set to background-color: rgba(255, 255, 255, 1); I was able to upload a new Styles-boces.css file and specified that stylesheet file in my settings.xml. However, the background color on the bottom half of the page is still showing the Theme color for the theme="LightBlue". My stylesheet overwrite works and makes the bottom background color white in Chrome and Safari but not in IE. It looks like the only way around this new Login screen, being implemented on October 1, is to create separate loginPage="sign-in.html". Hello Aileen, we technically support only the .buzz-main-header class. However, the file does allow you to change many other styles, but would be unsupported. That said, I looked into your issue. I will try to identify why it would be conflicting with the existing styles, but if you add one more selector it would work in IE. 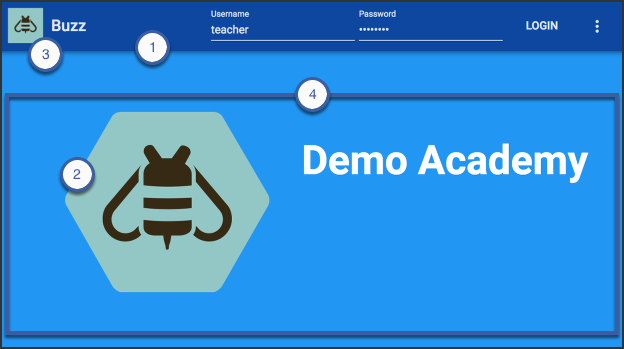 Login pages were created for all of our sub-domains based on the pre-Oct 1, Buzz login page where I could customize the bottom 1/2 of the login screen for the teacher, student, parent and admin and make the top white using the .less file. Note, on the second class I also specified "div". This is different than your current CSS file on your test site. Also, I am seeing some other problems with your CSS file. You specify a couple of classes without a period. For example, you have "buzz-main-nav" when it should be ".buzz-main-nav". Thanks for catching this. My eyes were going buggy. This works now. Great to hear that, Aileen! What is the ideal, recommend dimension/size for a course card image, for all devices (phones,tablets and desktop computers)? We recommend images to be twice as large as displayed. Currently, the Course Card is displayed at 175px by 175px. This means that I would recommend 350px by 350px.